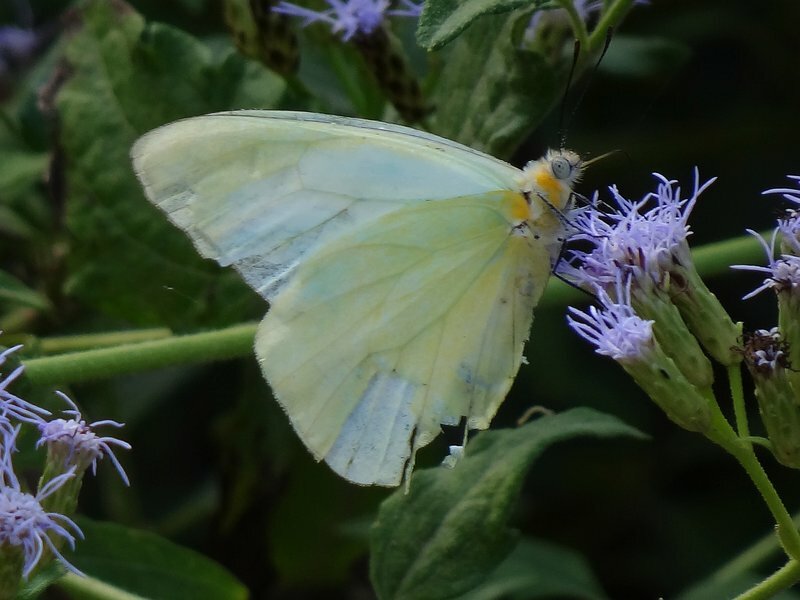 Photo documentation of a Ceraunus Blue for the month of December in middle Ga.
Freshly emerged individual Cloudless Sulphur. 11:30-1:30, temp 60 degrees. one sulphur and Red Admiral on soccer field, possibly multiple sulphurs there or multiple sightings of same individual at different areas around the field. another sulphur on large field in the preserve. While standing on a parking lot ued by the trail hikers , I was totally taken aback , Not this monarch I have pictured, although with camera in hand no way could I have chased this insect hightailing south westward down route 850at an unusually fast pace for a monarch. 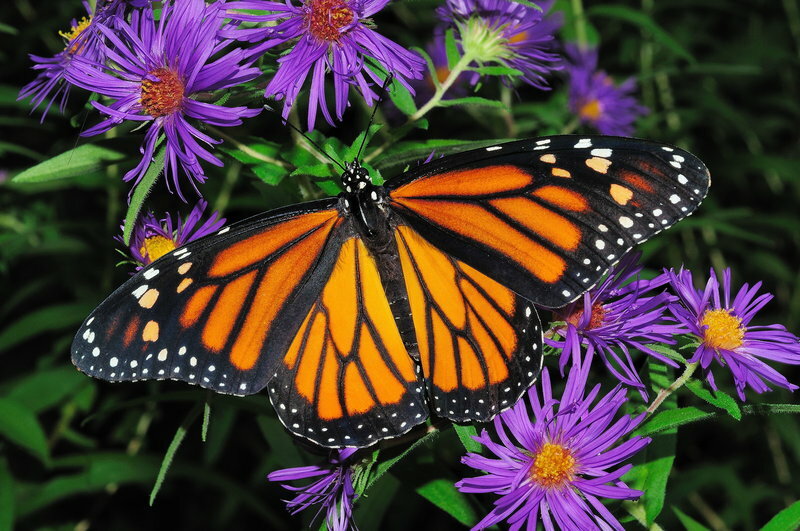 A monarch flew past my window at 2:00 pm today. I did a Google search, and the latest sighting I found was December 4, 1994. So this appears to be a new record for the state. Another tangible effect of global warming, it would seem. 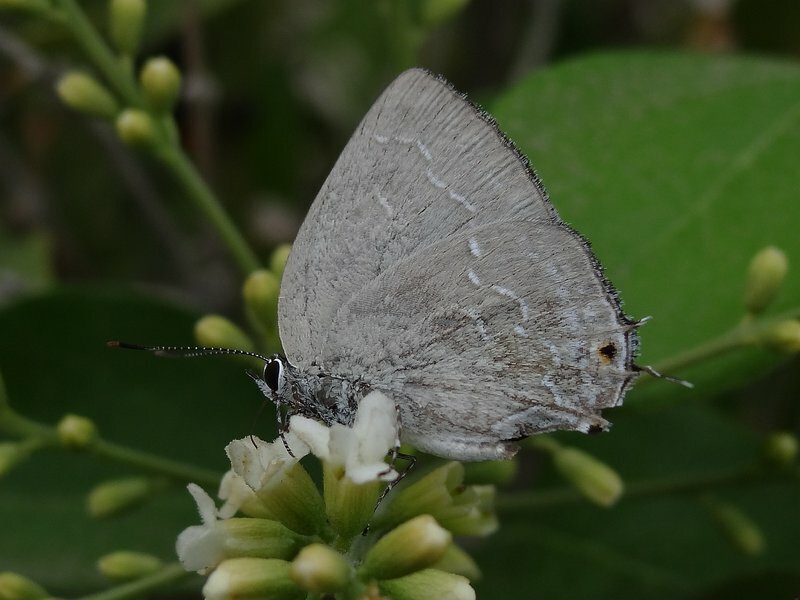 This Pearly-gray Hairstreak was found in the early afternoon by Mike Rickard. It stayed for several hours and many folks were able to see and photograph it. 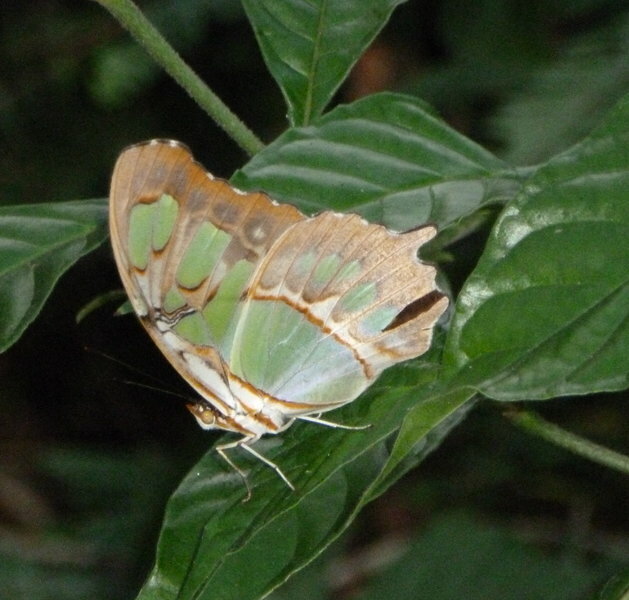 When it opened its wings it showed brilliant iridescent blue. 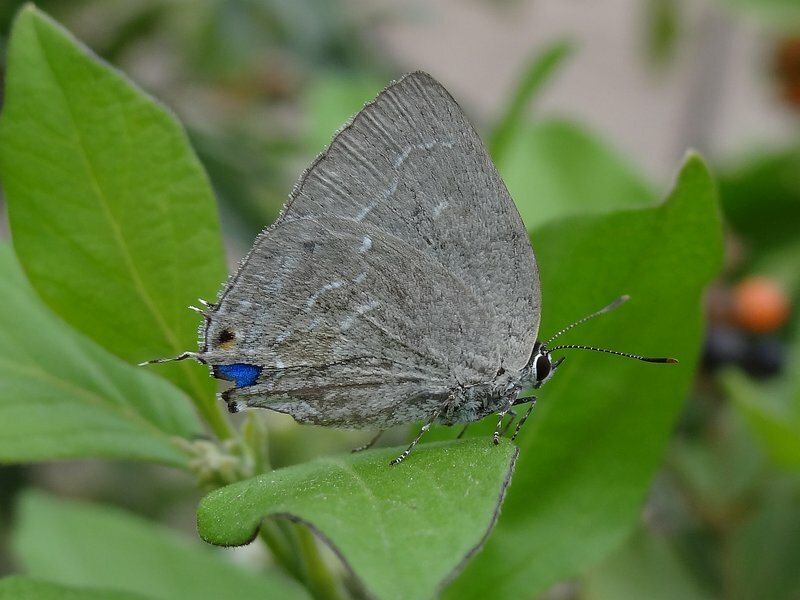 Tailless Scrub Hairstreak was found by Mike Rickard. 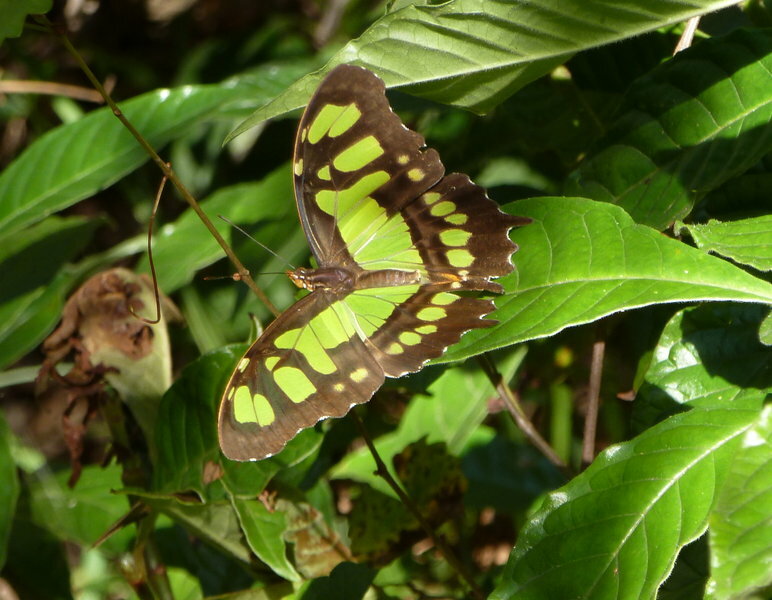 It stayed for an hour or so and was seen by many observers but photographs were hard to get. 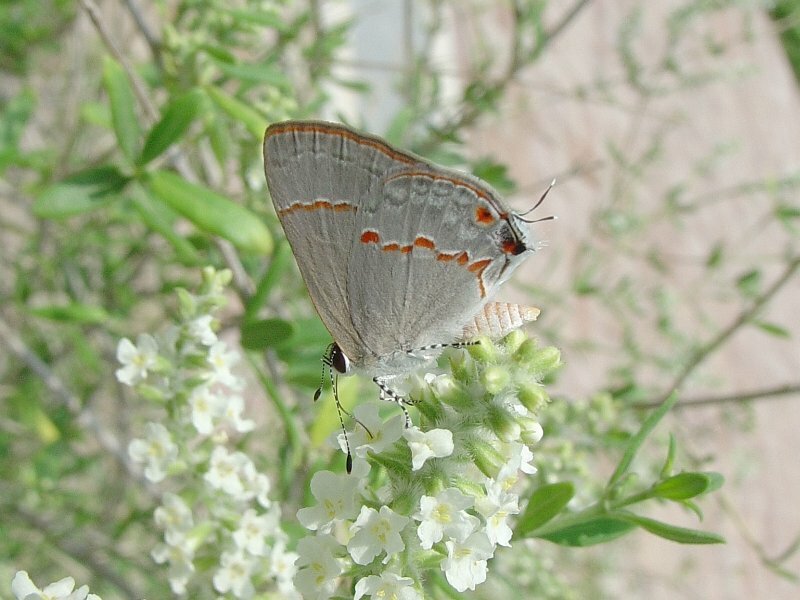 There are no modern U.S. records of the Tailless Scrub-Hairstreak. 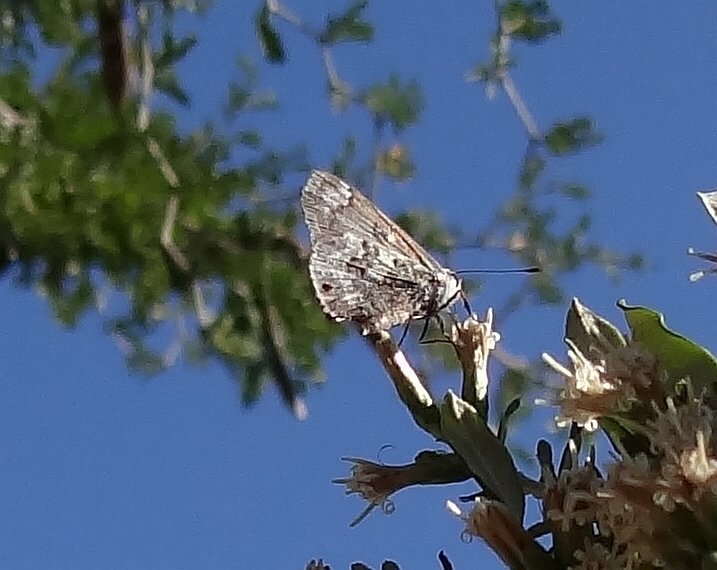 Yesterday, Dec 16, I found a Common Melwhite at the Natl. 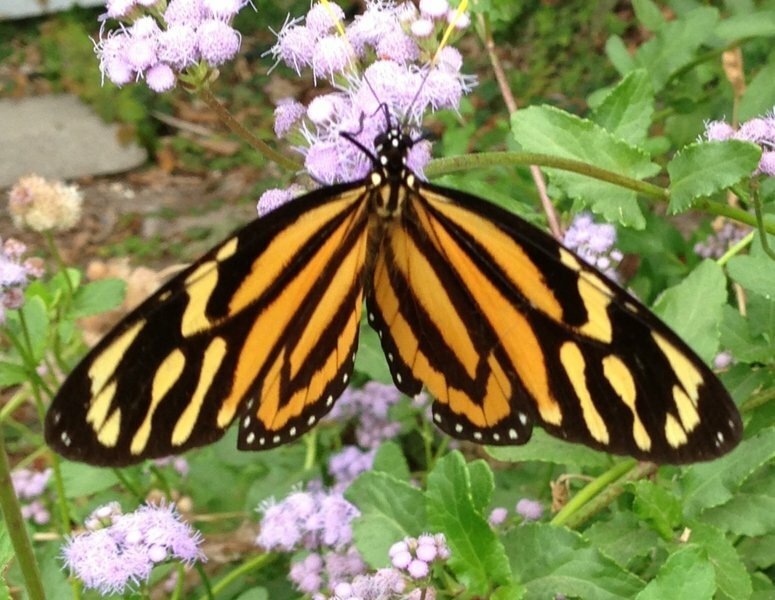 Butterfly Ctr. Photo is attached. 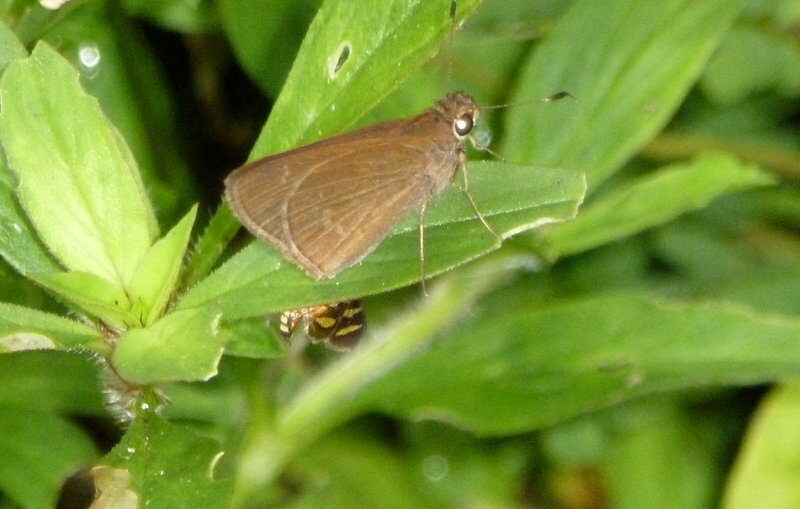 The Gray Ministreak is an archive photo. This is a compilation of today’s NBC sightings by about 10 observers. The numbers are as close as I could ascertain when I canvassed them in the late afternoon. 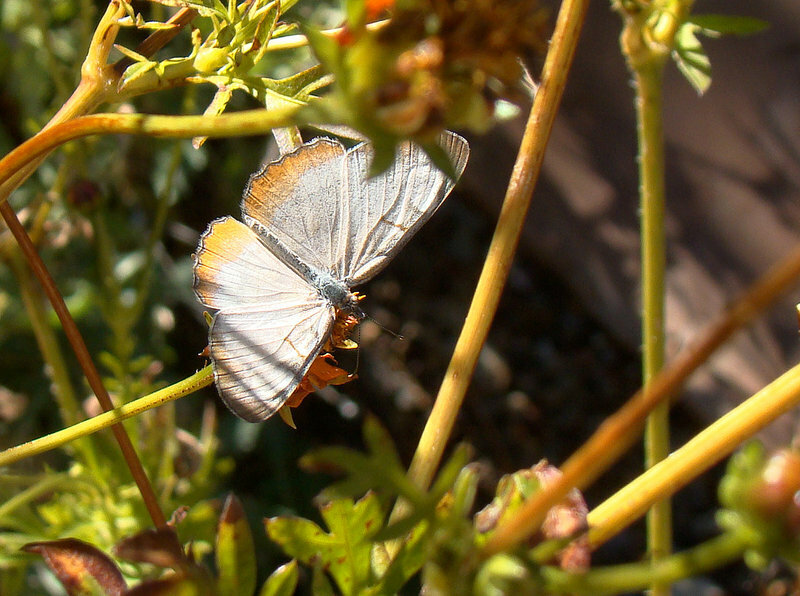 Not on list is a possible 2nd Tailless Scrub Hairstreak. We had a record temperature today and a “cold” front due tomorrow, Highs only in 60s. Both photos have been rotated for a better presentation. 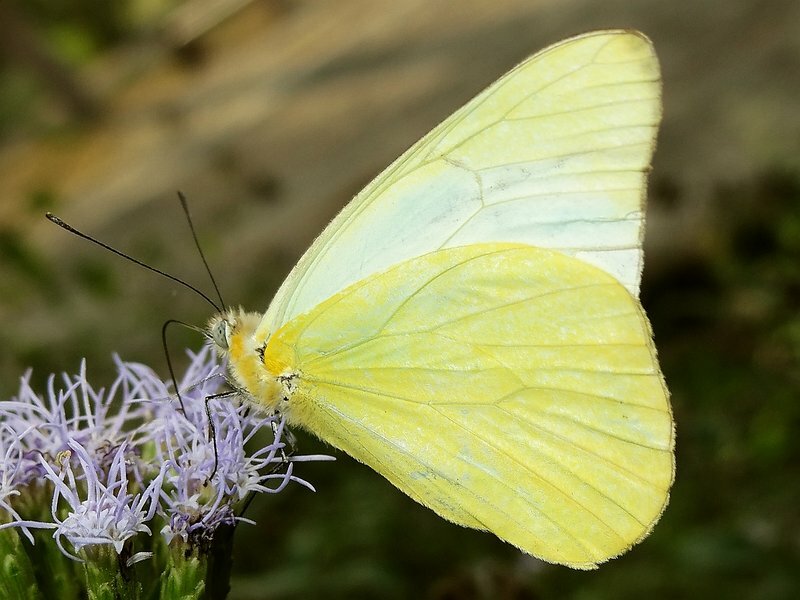 fresh male orange sulphur flying along south facing embankment. Temperature was in high 40s with partial sun, it was quite cold and windy. 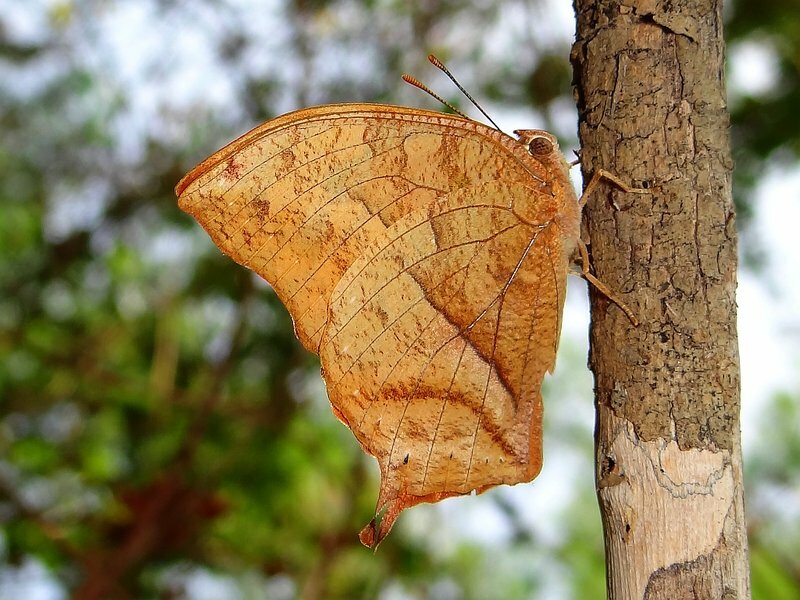 I did not expect to see a butterfly flying under those conditions. Saw the Howard county sighting the day before of the same species so I reported this one.